What a great time! Loved being with all my grandkids. Perfect place for a family gathering! Great condo Unit #34- me and my bridal party had a blast. 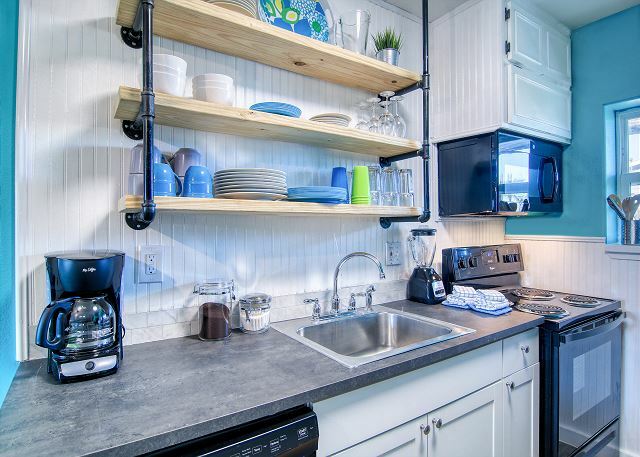 Easy beach access, clean, and roomy! Even lost a key and the management was very nice about it!! We had a wonderful time. Would rent this condo again for future vacations! There were eight women in our group. We loved the way the apartment was set up. We felt secure in the complex. Everything was neat and clean and we were close to shops and restaurants. 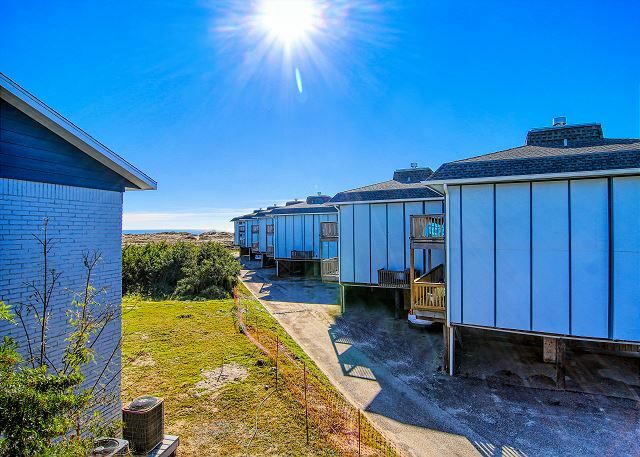 The proximity to the beach is excellen! We are winter Texans and plan to return next year. 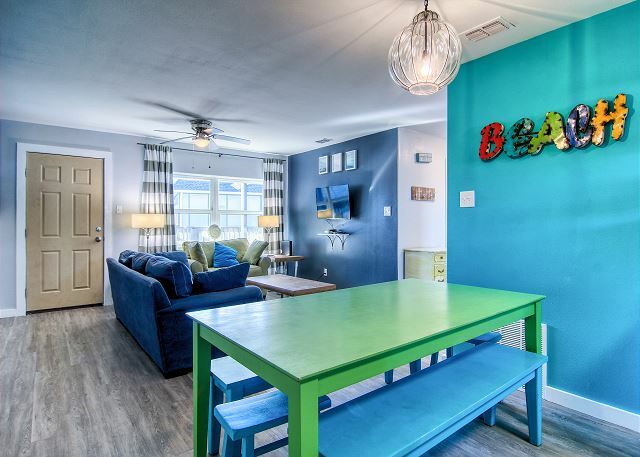 We had a wonderful time staying in the Beach Babe condo. A big plus was having WIFI in the room. We mainly cooked there and everything was great with the kitchen supplies. Loved the swimming area where we held a birthday party. Not far from the beach. I would tell my friends and like I said our stay was enjoyable. No bad surprises here. Everything was nice and clean. If I was being nitpicky, the pictures of the property showed an unobstructed water view which was not the case. there was an water view, but from the extreme corner of the balcony. That didn't matter to us, so no big deal. 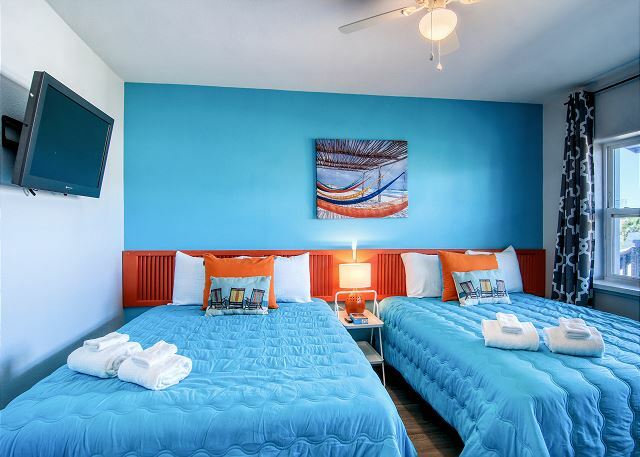 Our family stayed at unit 34 "THE BEACH BABE" the rooms we kinda small, I would have preferred each room have two queen size beds Cuz it suited our family better but if ur a couple with kids it's perfect all the kids stay in one room. 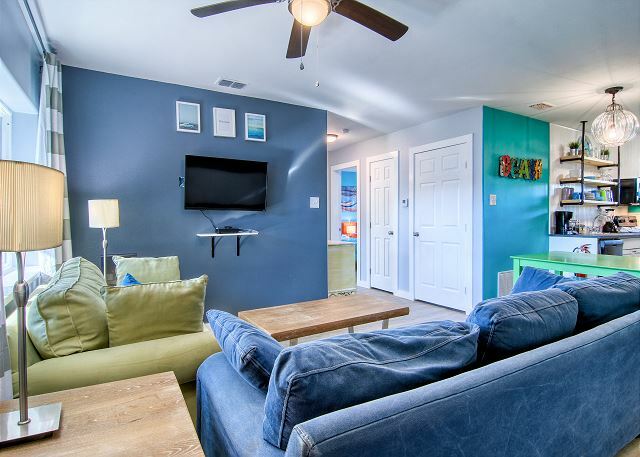 The back porch is very spacious with a partial view of the beach and right across the over size pool which is important especially on a busy holiday. 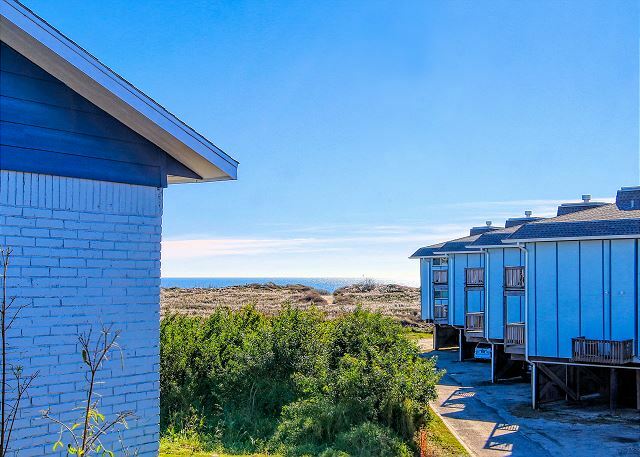 The condo's are located close distance to souvenir shops, gas station, grocery store. Only downside is units are older, parking at night us crowded, n pool closes at 10pm it's summer ppl want to stay up n cool off from the hot sun n sandy beach! We had a great trip. I was surprised at the outside of the property. Could use some paint and charm to look more coastal. Our unit was fine. The lights that come on after dark made it difficult to sleep in both rooms. Owner should add blackout window coverings. The kitchen light drips water.....needs to be checked out. 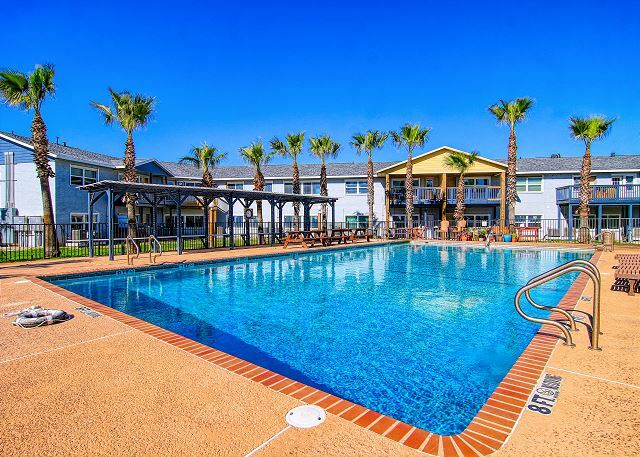 We were very pleased with our 3 month rental experience as Winter Texans at SIV, Unit #34. 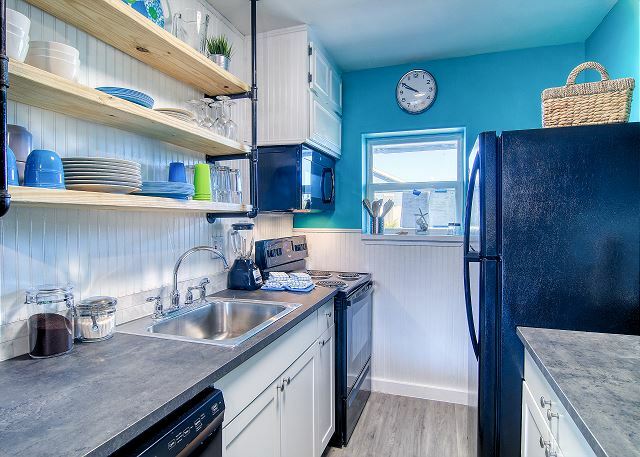 Roomy 2nd floor condo, the LR is very bright! 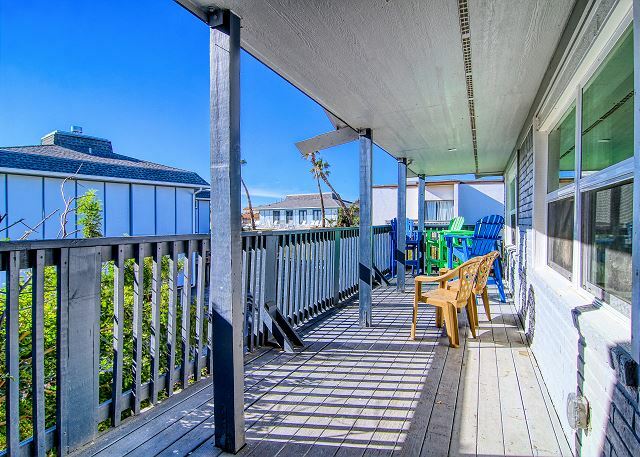 Nice back deck with plenty of ocean breeze. 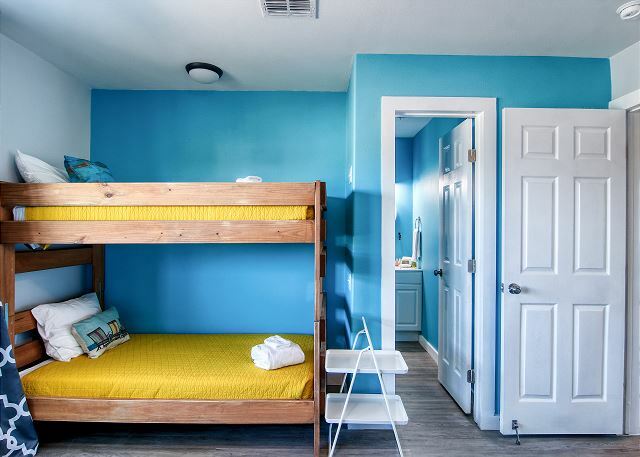 The beds were comfy and the bathrooms clean. 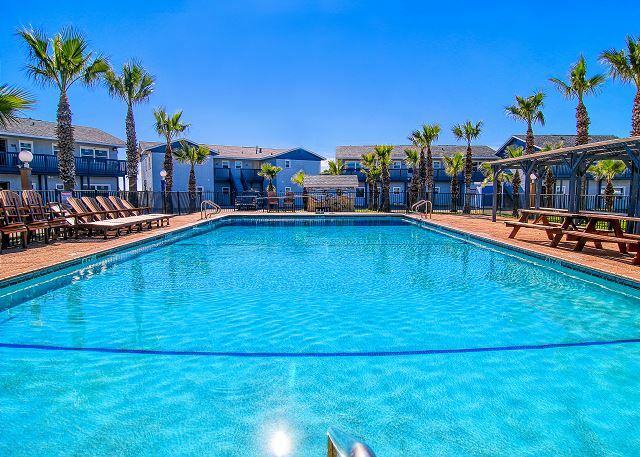 The complex is right off the beach and the pool was a welcome addition as well. Even though we had our 4 year old grandson with us, we did not use the playground. It looked terribly hot, there is no shade. It's only about 35 minutes from Corpus Christi, so we were able to get to the Lexington and to some local restaurants easily. I think this is probably a better set up for more local travelers who could bring chairs, boogie boards, umbrellas, coolers, and basic dry goods with them. All in all, though, the condo was great for us. Great location close to beach and wonderful pool. 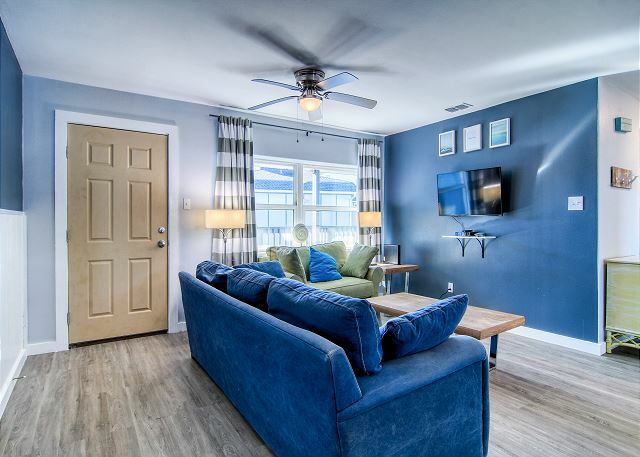 We are Winter Texans, who rent #34 at Sea Isle Village for 3 months, Jan, Feb. & Mar,. 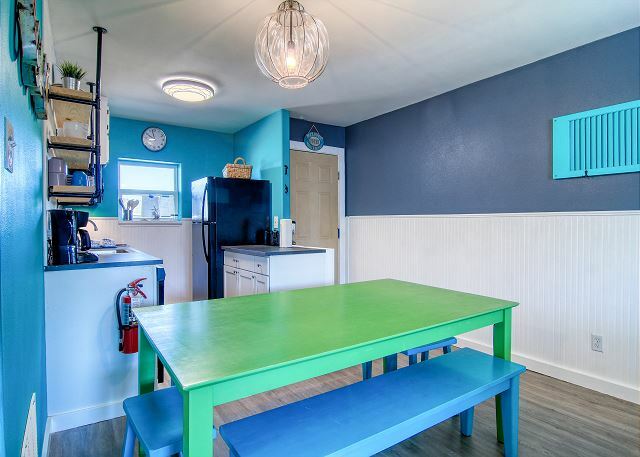 The unit is very well cared for by the owner and we enjoy spending our winters there. 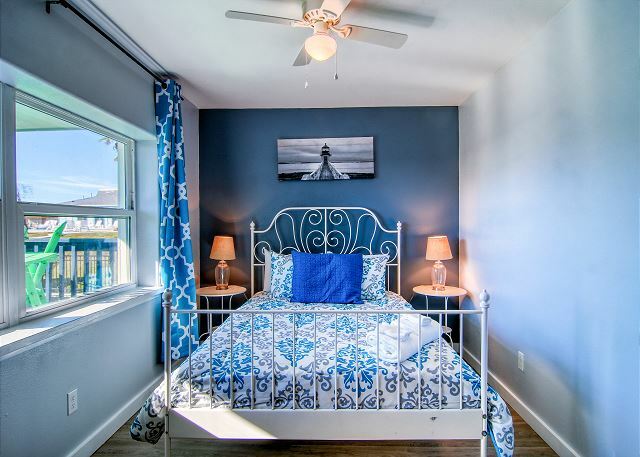 The décor is tastefully done in a beach theme. 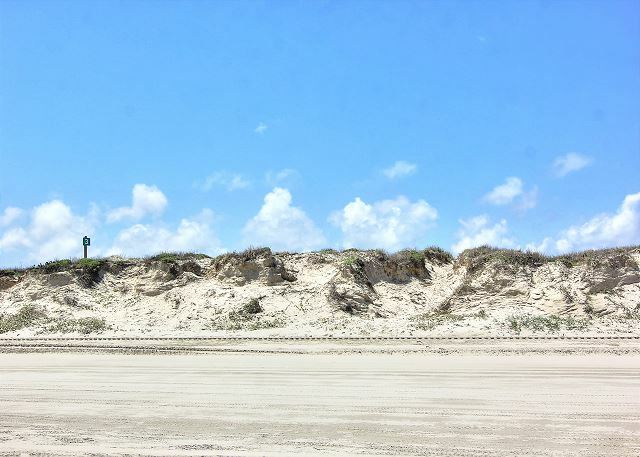 My family loves Port A and we enjoy staying within walking distance from the beach-Sea Isle Village offers beach access. 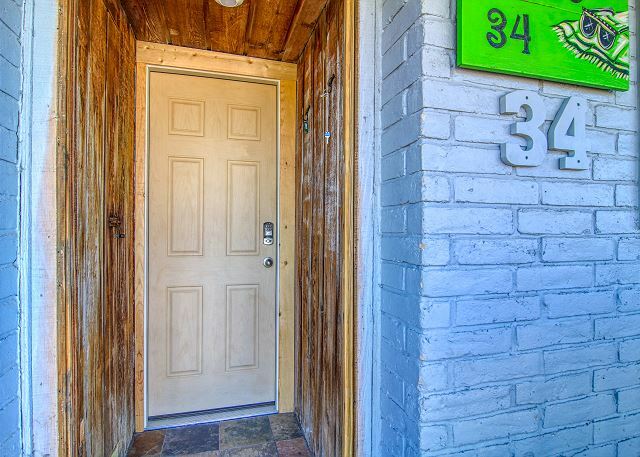 This property is an older complex but overall it is well maintained. 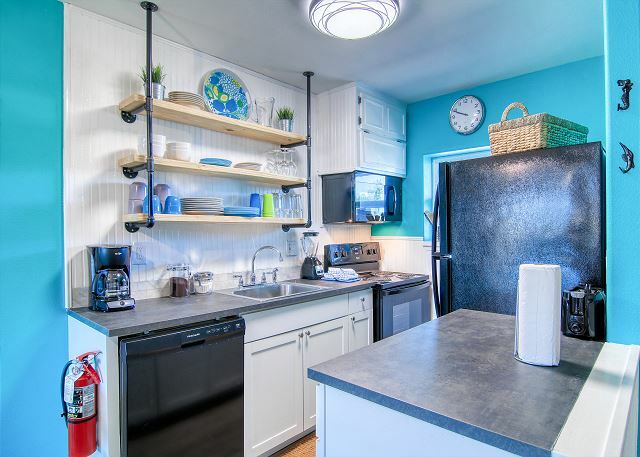 Unit 34 is a "fairly" renovated unit with a few things that could be improved or replaced-electric stove top grids and non-stick cooking pans-we enjoy cooking breakfast. I would recommend Sea Isle Village for its convenient location. Spent a lot of time out on the back Balcony. The room was clean. All the people working there where really nice. 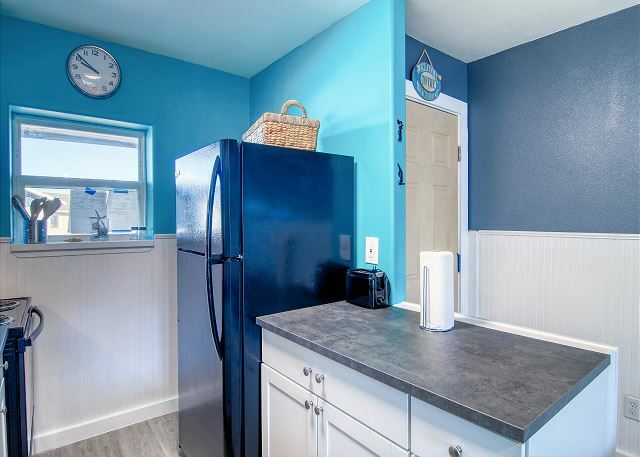 the condo is in a good location and the walk to the beach is very short. the property is a bit old and run down looking from the outside. the inside was clean and had all the proper amenities. the dishes were a bit sticky- we had to wash everything before using them. Loved the room, nice and quiet with a view of the ocean! 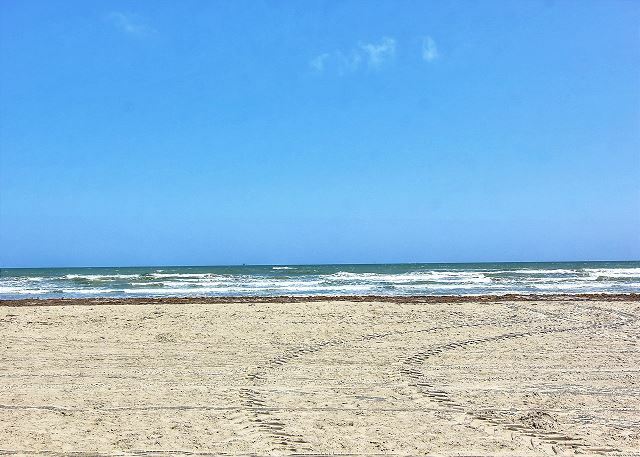 Our family enjoyed three nights and four days at Port Aransas. The rental was clean, well appointed, and close to the beach. We stayed here last year and will be back. It was a good experience. Close to the beach. Kitchen had everything you might need. You provided the perfect condo for my family and I to enjoy the weekend. The only thing I would like to see is a walkway or some kind of barrier made along the beach access. (i.e. Port Royal) Other than that I completely enjoyed it. Thank you. 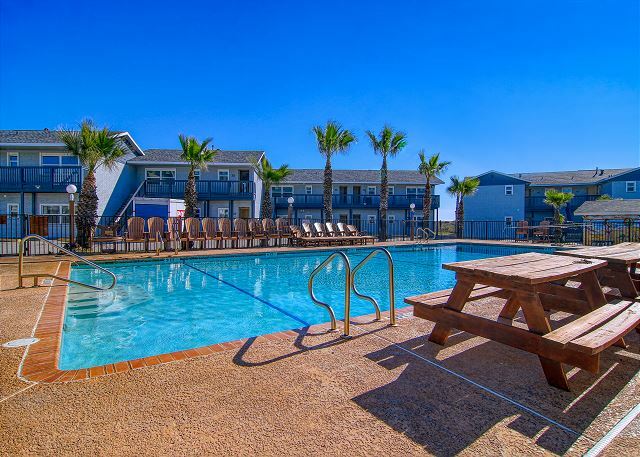 We rented #34 at Sea Village in Port Aransas, TX for the months of Jan., Feb., and Mar., and plan to return next winter to SIV, #34. 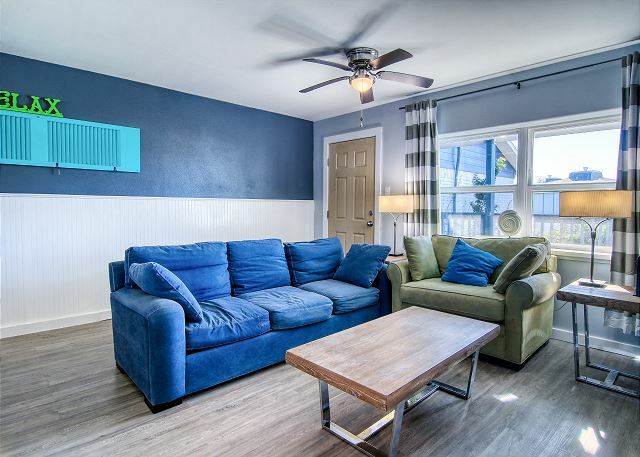 We enjoy our winter stays in Port Aransas and would recommend this property and unit to others. We had a wonderful time at Beach Babe. Nothing fancy, but it had all we needed and the porch was wonderful. Overall the room was very nice. The washer and dryer was a great careful what you see on the pictures , We rented this unit because of the washer and dryer and the nice breakfast table and chairs on the balcony. When we got there low and behold there was no table and chairs on the balcony. Had I known I would have brought a folding table from home. I rented unit number 34 and if you the owner read this know that your management team needs to check the filters on the washer and dryer and the AC unit. I cleaned all of them but you could spend a lot of money on repairs simply because of your personnel not checking these filters. 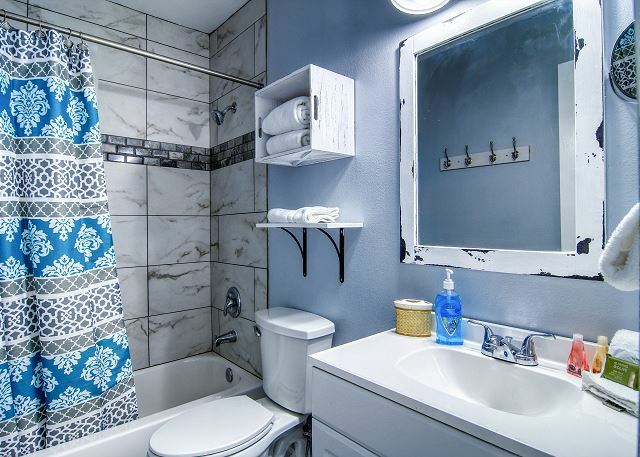 Overall everything was clean and up to date but you may need to ask if the rooms are as seen in the photos. The pool was great. 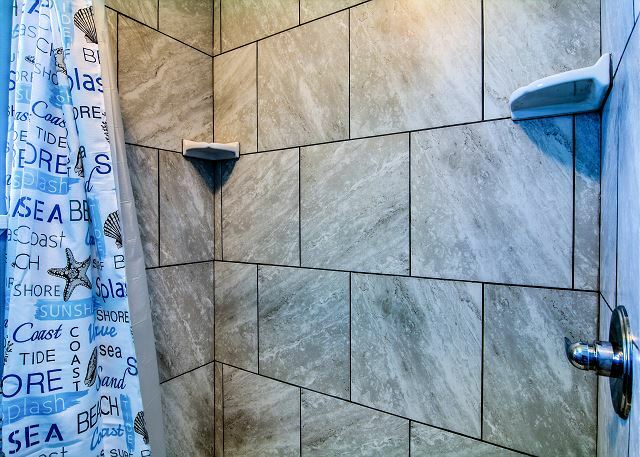 Condo was clean, but dated. Everything worked. The A/C could be a bit stronger. Staff was attentive to our needs and friendly besides. Good access to beach, although a bit of a walk. 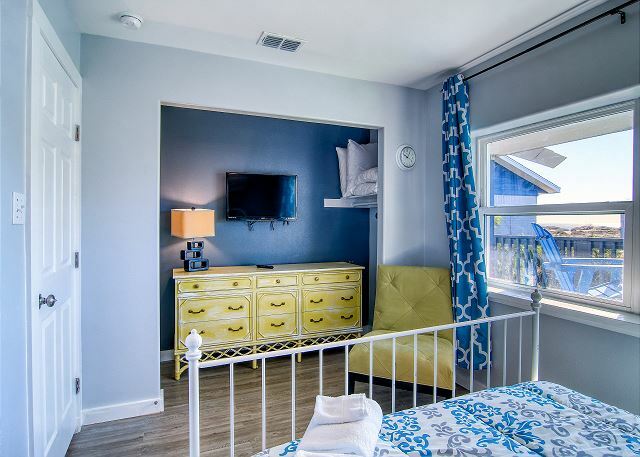 Close enough for convenience, yet far enough from the noisy beach for a pleasant stay. Excellent pool! we enjoyed the condo and people were very friendly, pool felt good after a day on the beach! Lesley C from Austin, TX does not recommend this vacation rental. The complex is old and a little run down, but still in pretty good condition. This particular unit was very clean and had everything you need. Our first time renting a condo and it was wonderful! We had 2 children, 2 teenagers, and 4 adults and it was perfect. It's was much better then staying in 2 hotel rooms. One of the evenings we were there it rained and we sat on the big balcony with some drinks, then went in and played cards on the good-sized table. We had a wonderful time. I liked the nice big deck in the back. The master bed had a screw out that made the bed slump a bit. I would definitely do it again. Perfect location and Great Spring Break! 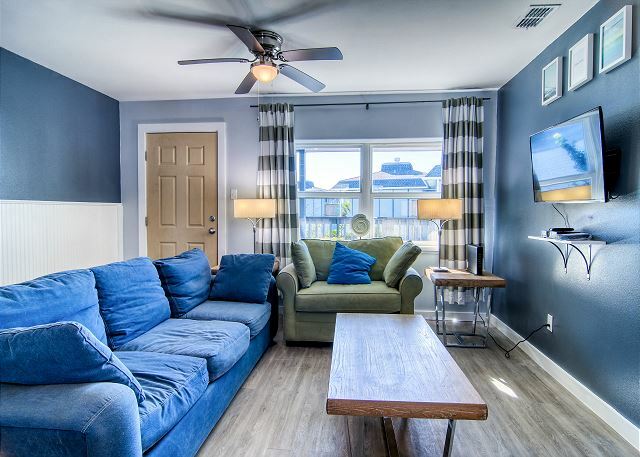 Rented the condo for my grandson and a few of his friends for spring break- it was great and having 2 bedrooms and 2 bathrooms worked out perfect! Overall my vacation stay was good. 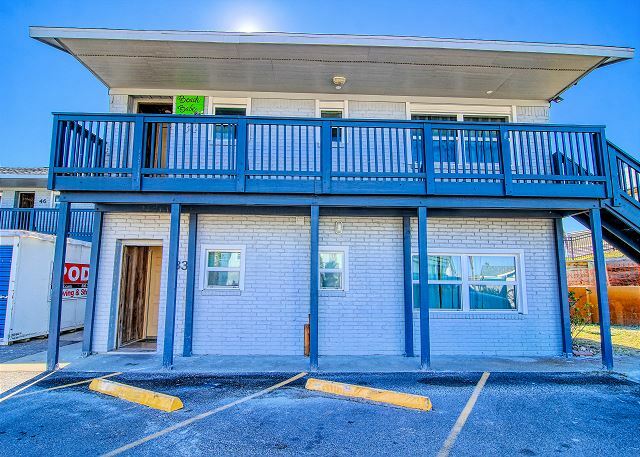 First impression of property exterior was a concern as buildings appeared as a run down motel. Think paint would be a great improvement. As to walkway to beach the grass around the walkway was overgrown. Condo interior was nice and clean. 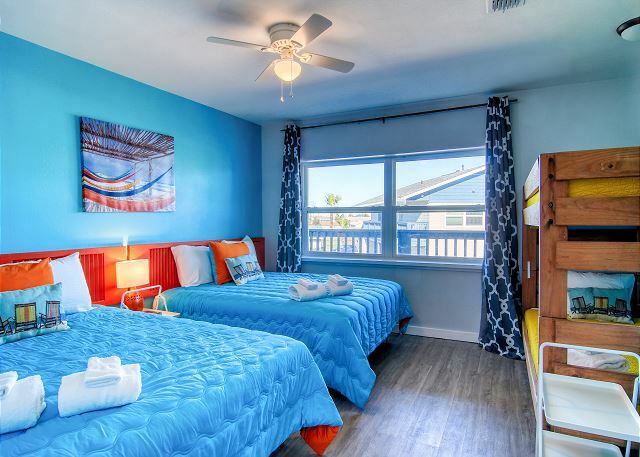 Fully furnished, comfy beds and balcony with high beach chairs. Again overall visit was good. My friends and I had a nice time. Just a few minor problems such as a leaking blender (although we had brought one of our own!) and the sofa was not very comfortable. Great deck furniture with a limited ocean view. Older complex, but pretty well maintained. Plenty of interior space for our group. Nice big pool, but only 3 lounge chairs. 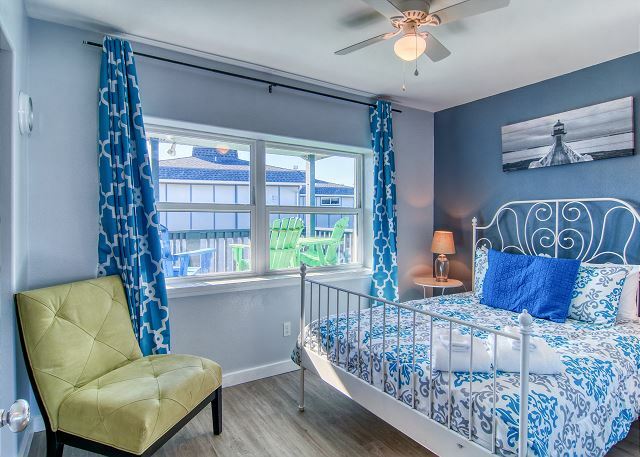 I have rented units 33 and 34 for several years for my family vacation, and have always been very pleased. 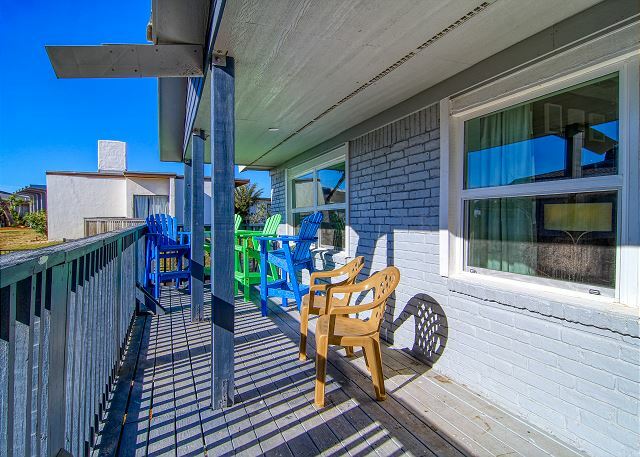 These are beachside, and although there isn't much of a view, they both have decks that are very quiet. These units are out of the main pedestrian path, and it always feels like we are by ourselves. Location is great and very convenient. The beach is just a short walk across the dunes. Maintenance responded immediately to our call regarding the garbage disposal. Parking space is limited. The pool was closed for one whole day for maintenance. Change from previous years -- never saw any maids. Have to pick up keys offsite. Have to take your trash to the garbage bins that are conveniently located. No daily clean towels -- good thing we brought extras. Overall -- very good place to stay for my family vacation. I especially like having the upper and lower units together. 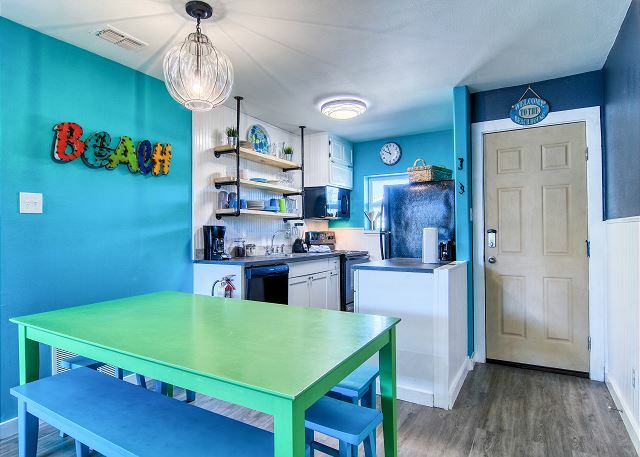 Will most likely stay again and would recommend if you want a clean place that's nothing fancy. We were all very satisfied with with the property. I will definitely be refering friends to this location. I am already looking forward to next summer! The condo was nice, clean, and had cute decor, which we appreciated. The pool and plaground were a must for the kiddoes, and the beach was close. The only minor drawback was that the beach was a pretty good walk from the condo - which was not unmanageable, just felt far when carrying a couple toddlers! We had a wonderful time. Had a minor maintenance issue on arrival & the property manager sent someone to fix the problem within an hour. 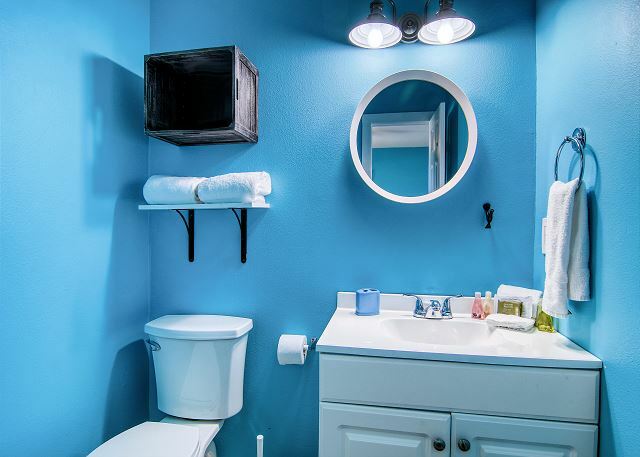 The property was spacious and clean. Overall a great exeperience!